Click here to get tickets to see the Classical Side of Cuban Music on March 23, 2019, at 8:00 pm! The island of Cuba has a long and interesting history. And, just like the island, Cuban music has a long and interesting history, too. With influences from West Africa to China, Cuban music almost defies explanation – yet if you heard it, you’d know it, instantly. In fact, Cuban musicians are responsible for creating over 25 original musical genres. Ever heard of Rumba? Or Mambo? How about Cha-cha, Conga, or Latin Jazz? All of those distinctive and popular types of music came about thanks to centuries of cultures that all wound up together on Cuba. From native peoples like the Taino, Arawak, and Ciboney people, to Spanish and Canary Islanders, African slaves, Chinese immigrants, European immigrants, and even Americans, many different cultures contributed to the ever-changing and innovative music scene in Cuba. Did you know that these popular genres originated in Cuba? Also known as the country music of Cuba, this is the “rural form of improvised music.” Originally, this music was played acoustically with a “tres” guitar, and singers would improvise the lyrics. Still very popular in the Cuban countryside, punto guajiro has been around since the early 1900s. During the 18th and 19th centuries, Cuba was home to a large population of African slaves, who brought with them the rhythms of their homeland. They and their descendents would play beat-driven music in the streets, courtyards, and docks, using whatever percussive instruments they could get their hands on. This upbeat and very danceable music evolved went from the street to ballrooms as travelers brought it back to their native lands. One of the most European-derived genres, danzon first appeared in the mid-1800s and was fully developed by 1880. With roots in European ballroom dances, like the French contredanse and Spanish contradanza, danzon was originally played by an “orchestra tipica” or an informal military marching band and incorporates African elements and elegant rhythms. Known as the base of modern Cuban music, Son originated with Spanish farmers and is thought to be derived from Changui (a music that blends Spanish guitar with African rhythms). Son has a very distinctive rhythm, known as the “anticipated bass”, and includes a pulse that comes after the downbeat. One of the genres that came from Son, is salsa. Similar to danzon, mambo is a very danceable music that includes elements of montuno (an improvised music passage in rumba) and jazz. A conga is played by a large ensemble of Cuban musicians, singers, and dancers called a “comparsas”. It became widely popular in the early 1900s even though it had been around since the 1800s. 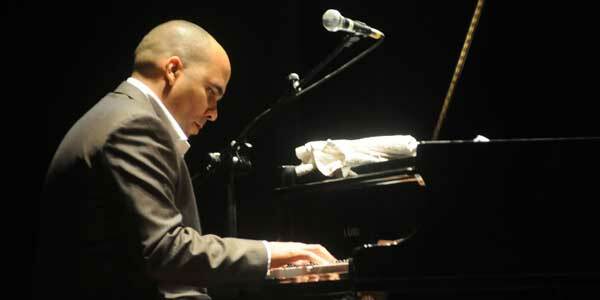 Also known as Afro-Cuban jazz, latin jazz combines clave-based rhythms with jazz harmonies and improvisation. This genre was first recognized in NYC in the 1940s when Cuban musicians started appearing in nightclubs. We’ve just barely scratched the surface of all the music and musical influences that Cuba and Cuban musicians have created over the past few centuries. Cubans have been prolific in their love of, and dedication to, music. There are so much more Cuban music alive and well in the world! Cuban music is full of life, a celebration for your ears. It’s music that makes you want to move, even if you’re not familiar with the steps. If you’ve never been fortunate enough to experience live Cuban music, now’s your chance! Daniel Amat, a Cuban piano virtuoso, is coming to Torrance to share the beauty, diversity, and lively music from his homeland. As Daniel Amat grew up, he was immersed in all the different music of his native country. His father was renowned tres guitar player Pancho Amat, who shared with him a deep love and respect for son, trova, and rumba. Daniel took up playing the piano from a young age. He ended up studying classical piano, graduating from the National School of Music in Cuba where he studied with acclaimed pianist Ulises Hernandez. Though he’s classically trained, Daniel’s style is truly his own and firmly rooted in the traditional Cuban genres. His unique musical style seamlessly fuses the formality of classical music with the freedom and exuberance of jazz. Today, Daniel travels the world with other amazing musicians introducing people to everything from Contradanza to Mambo, and helping audiences fall in love with the music of Cuba. He’s recorded three albums, one of which received the 2005 Cubadisco prize in the Instrumental category, and one album with his father. If you love the music of Cuba, if you love Latin jazz, then you owe it to yourself to see Daniel Amat live on stage! Get your tickets while they’re still available! Get Tickets to the Classical Side of Cuba!